The Queen's Honours committee did the rounds today with new year gifts for the famous and many more of the not so famous. The sun may have long since set on the British Empire but the establishment can still pin medals to lapels as reward for contribution to British society. Kylie Minogue at 39 tops the bill of the famous league by picking up an OBE, Order of the British Empire. Other notable show business recipients were Britain's king of the chat show hosts, Michael Parkinson picking up a Knighthood. On the business side, Stuart Rose credited for rescuing Marks and Spencer's was awarded a knighthood for working what many consider a financial miracle in a little over 3 years. 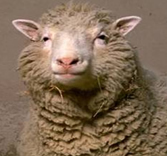 On science, the creator of Dolly the sheep, the worlds first cloned mammal gets a knighthood, Ian Wilmut commented that he "was surprised and delighted at the knighthood bestowed on him". And last but not least, Kashaf Walayat picks up a OBE at 37. One notable exception from the New Year Honours was Tony Blair, though given the investigations into cash for peerages and honours during the last year of his premiership its not so surprising that one name happened to slip from Gordon Brown's list. Also Gordon Brown avoids announcing any peerages himself so as to further distant himself from Tony Blair. Cash for Honours was the Police investigation of large sums of monies (millions) loaned indefinitely by the wealthy to the Labour party and subsequently nominated for life peerages by Tony Blair. The loans were a way of getting around electoral law which would have required donations to be declared but not loans. The result of scandal was that Labour had to repay large sums of money, with the CPS on 20th July 07 announcing that it could not bring charges against individuals involved as it could not find any direct evidence of prior agreement that the loans were given in advance of peerages. Therefore we can only hope that no one paid for any of the new year honours.